The first group of climbers to summit the world's highest mountain in three years after deadly disasters forced a shutdown. They made it to the summit at 5:02 pm. "A team of nine Nepalese have set the route and reached Everest's summit"
The expedition to the Mount Everest remained suspended for the past two years, following the April 18 (2014) deadly avalanche near its base camp and the April 25 (2015) earthquake. Climbing teams announced plans to summit Everest after disasters cut short campaigns to the 8,850-metre high Himalayan peak and raised fears for Nepal's lucrative trekking industry. Hundreds of climbers abandoned the mountain last year after an earthquake-triggered avalanche killed 18 people at Everest base camp. 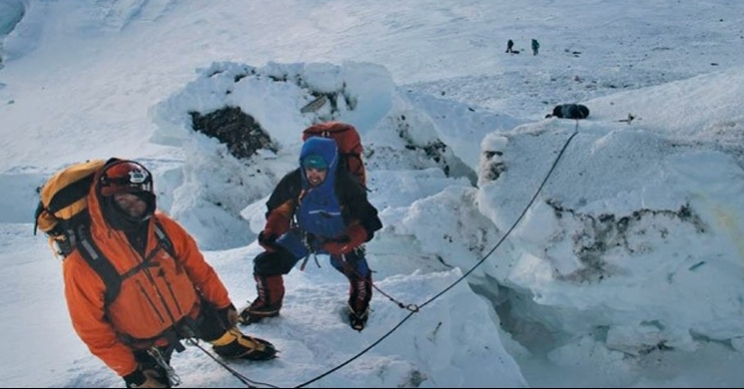 Only one climber summited the peak in 2014 after an avalanche killed 16 Nepali guides. China's Wang Jing reached the top after using a helicopter to transport tent equipment to higher camps following the closure of the year's climbing season. Hopefuls are now massing at different camps on Everest after Nepal issued 289 permits to mountaineers for this year's brief spring climbing season, which runs from mid-April to the end of May. 700 climber including 289 foreigners are close to the peak's summit and are expected to reach a top the world's tallest mountain, locally known as Sagarmatha by Thursday morning, according to Sherpa. Best of Luck to all!! !